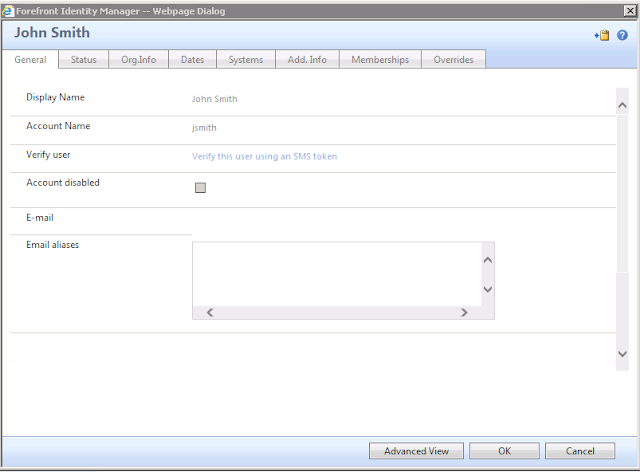 Today I'm releasing a new add-on for the FIM/MIM portal. The Lithnet User Verification Module allows IT staff to use the MIM portal to send an SMS code sent to a user's mobile phone. This is useful in scenarios where a user calls the service desk and needs to be verified before the service desk can take an action such as resetting a password or asking for a change to a group that they own. 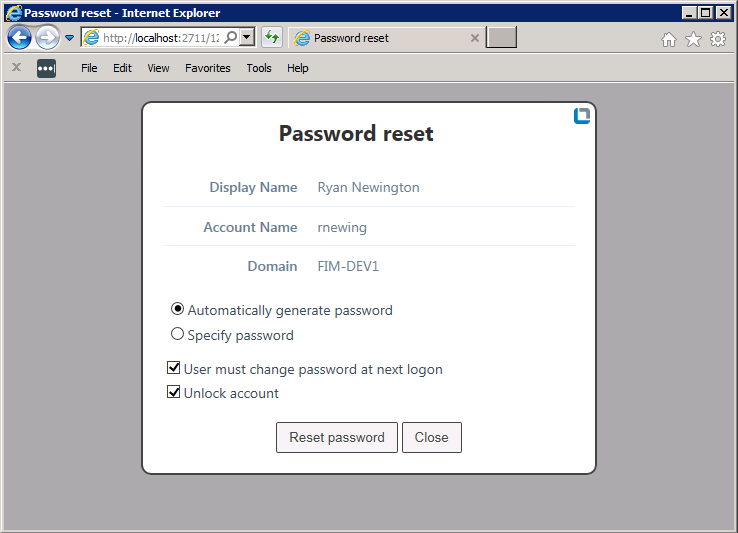 If you have your users registered for SMS-based self-service password reset, then this module is ready for you to use today. It will use the same SmsServiceProvider.dll you created to enable SSPR, and will get the user's mobile number from the msIdmOtpMobilePhone attribute. In 2015, I released the first version of the REST API for the FIM/MIM Service. I designed it to abstract away the complexities of the native SOAP endpoint, and open up the possibilities of integrating with FIM from operating systems and libraries outside of the Windows/.NET ecosystem. It's been used by many awesome public and private projects since then. Check out Peter Stapf's guide on using it to create PowerApps. Create resourcesModify resourcesDelete resourcesGet a resourceGet the current user's permissions on a resourceSearch for resourcesFull localization supportGetting approval requestsApproving or rejecting requestsHowever, I needed to make some changes to the API that would have broken compatibility with existing versions, so I decided to add another endpoint to this API, and release a new version. A caution to anyone that uses applications that rely on LDAP authentication against Active Directory, or Active Directory Lightweight Directory Services to do so. Both services will appear to accept a blank password for any users when performing a simple bind. While behind the scenes, that's not what is happening, if your application doesn't check for and reject a logon attempt with the blank password itself, it might incorrectly assume a successful authentication against LDAP. This post details how I came to learn about this behaviour, how wide spread the problem is, and what can be done about it. Problem There is a known issue with FIM/MIM that causes the synchronization service to stop responding, requiring you to kill miiserver.exe with task manager and restart the service. A delta import on the FIM MA finishesA synchronization run on another MA is in progress Investigation When the FIM MA goes to write its delta watermark, it does so by updating the value in its MA configuration. Unlike other MAs, this requires a full MA config update (the same as if you changed a flow rule or other setting in the MA config), which increments the version number, and requires an exclusive database lock. Recently, we had an issue where four specific users would not sync into Azure AD. There were no noticeable differences in attributes between these users and ones that were working.